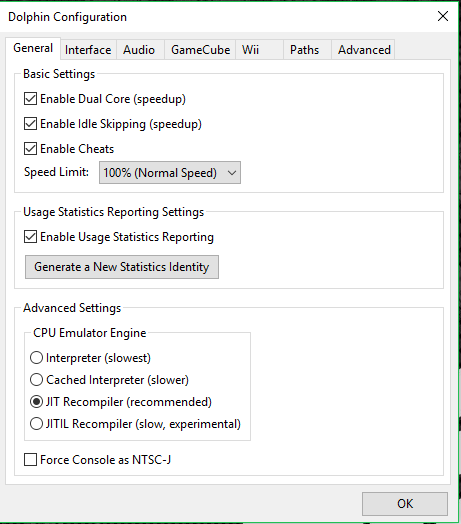 Sonic games lag on powerful pc. I've tried lowering most of the settings, but none have improved the framerate whatsoever so they're a bit high. For example, I get the same performance at 480p as i do 1080p. Both of those game only run at 4030FPS, are you using a hack or do you mean VPS? (08-24-2017, 12:09 PM)ExtremeDude2 Wrote: Both of those game only run at 40FPS, are you using a hack or do you mean VPS? Vps sorry. I haven't even attempted the 60fps patches yet. But yea the audio is all slow and garbled even in the sonic colors opening cinematic. The sonic unleashed opening runs at 60 but then drops to 40 the second the 1st cutscene ends and it gets to the earth exploding. Then the next cutscene it gets fast again then slow etc. Instead of setting IR to Auto, try setting it to a number, like 3x. Also, are you running the latest dev build? (08-24-2017, 01:19 PM)KHg8m3r Wrote: Instead of setting IR to Auto, try setting it to a number, like 3x. Earlier I mentioned resolution has no effect on performance. 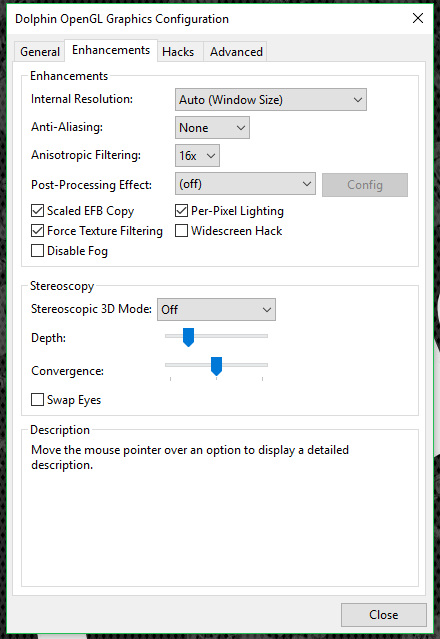 1080p and 480p manual settings both give low fps. Also, I'm using stable 5.0. Start > Control Panel > Power Options > Turn on "High Performance" power plan. 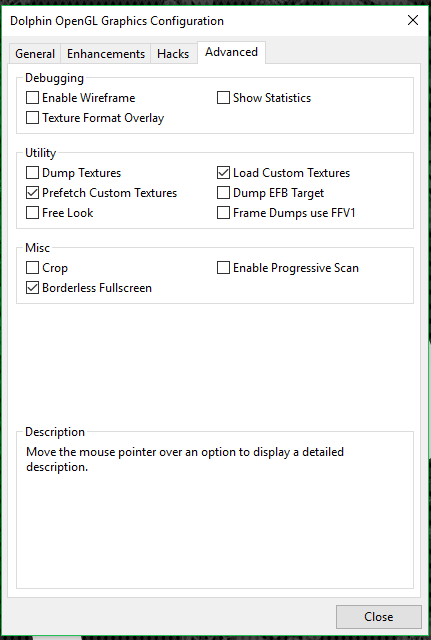 Right click on desktop > Nvidia Control Panel > Manage 3D settings > Make a profile for Dolphin.exe > Set "Preferred power mode" to "Prefer maximum performance"
That should eliminate your system being confused at Dolphin's low load that it needs. Update to the latest development build of Dolphin. Graphics > Aspect Ratio > Set to Auto. 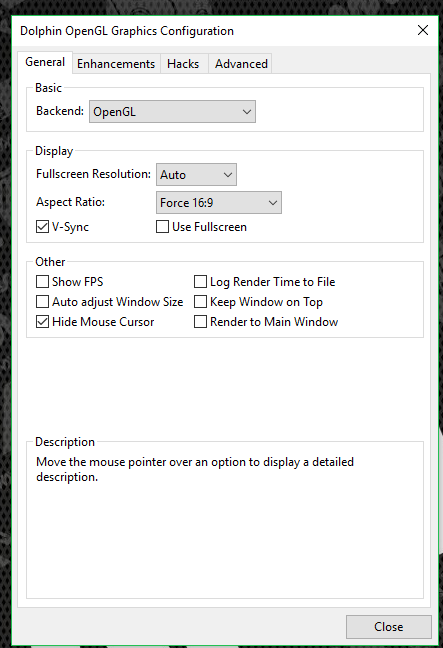 Graphics > Enhancements > Internal Resolution > either auto (multiples of something) or 3x. Graphics > Hacks > Uncheck "Skip EFB Access"
(08-25-2017, 01:36 AM)Helios Wrote: Start > Control Panel > Power Options > Turn on "High Performance" power plan. Odd, hasn't gone up a frame. still getting 36-40 vps sonic colors. uh, check to make sure the nvidia profile we created is pointing at the development version of dolphin.exe. I should have told you to update and then make the profile, oops.